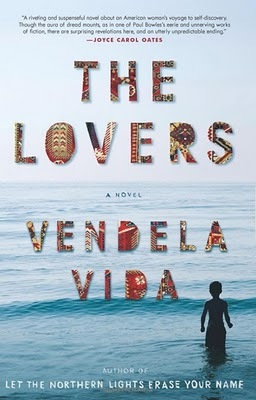 The Lovers begins with its protagonist, Yvonne, returning to the coastal village in Turkey where she and her husband spent their honeymoon almost thirty years ago. The trip is not a happy one: Yvonne, no longer a wife, but a widow, is now navigating the foreign land alone. She is dealing not only with the grief that continues to consume her two years after her husband Peter’s death, but also the unique transition that comes with being widowed, the mathematical shift from two to one. Tired of every trite offer of condolence, and the impossible new routine of her life at home, she has come to Datça hoping to retreat into memories of brighter days. She immediately realizes that the landscape has changed, both in the small Turkish town and in her soul. What was once beautiful and light and new is now edging toward ruin. Yvonne is in her early fifties, but suddenly feels old, as if the word “widow” carries with it the implication of advanced age, forfeited love, and waiting for death. She is acutely aware that she is no longer seen as a sexual creature, a likely candidate for love—though, of course, she also has no desire to be one. Trapped in a fog of grief, she is concerned not with her future, but with her past: her early days with Peter, the time when their children were young, the later years that were marked by escalating tension. It’s as if she floats but doesn’t touch the ground, as if she she looks around but never sees. The novel, a masterly exploration of female interiority, captures the almost dreamlike logic that now dictates Yvonne’s life. Indeed, she is not so much living life as she is trapped in a loop, interacting with the outside world only in a way that draws her further into herself. She makes a few friends—the jilted Özlem, a Dove soap model,and ten-year-old Ahmet, who sells sea shells—but cannot truly be a good friend in return. This eventually leads to a tragic accident, though it, too, matches the muted, dreamy pace of the novel. Still, it is only after Yvonne is confronted with another senseless death (the first being her husband Peter’s) that she slowly begins to emerge from her hypnotic state. I found this novel to be less polished than Vendela Vida’s previous one, Let the Northern Lights Erase Your Name, but still excellent. There is no debating that Vida is a talented writer, expertly tuned into the intricacies of female experience. Her writing is understated, but powerful; her details are often spare but just perfect. She transports her readers to new, fascinating worlds, but never resorts to vulgar exoticism. Rather, she is concerned with the disorientation that occurs when a woman—in this case, a middle-aged woman, older than Vida herself—is placed, alone, in an unfamiliar context. The result is unnerving, yet satisfying. 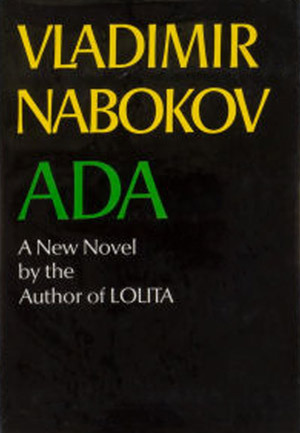 My only complaint is that Vida never quite seems to know how to end her stories; in this novel, the last page comes too quickly, and the words fade away abruptly. It is as if the alarm has gone off, and Yvonne has been shaken from her dream prematurely. This jarring conclusion only half-works; I found myself wishing for something stronger, weightier. Still, perhaps this is the point, that the novel is a dream of disorientation, and must end the second clarity arrives. Regardless, it is a thoughtful—and thought-provoking—read, which approaches grief in a way that is both sympathetic and unflinching. For as unreal as its atmosphere often seems, it always rings true.